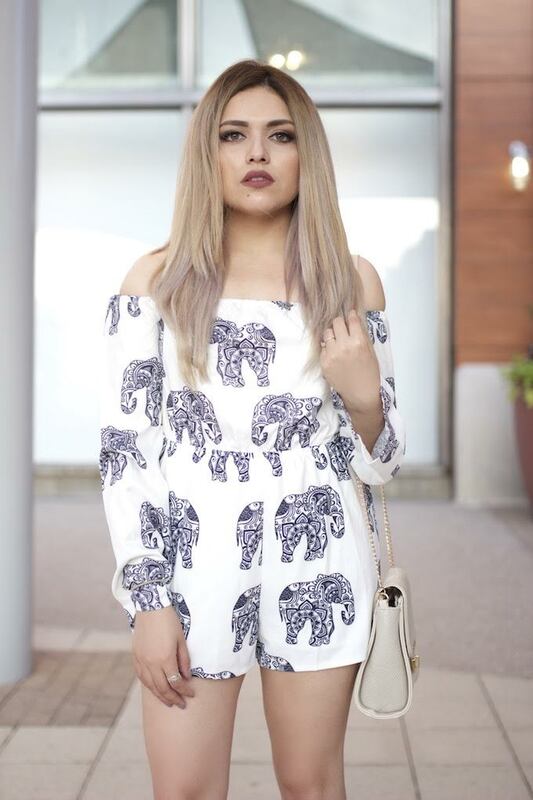 Hey Guys, I finally found an elephant print I love ... I wanted to wait for my new extensions to come in to wear it with long long curled hair but as you can see I couldn't wait. 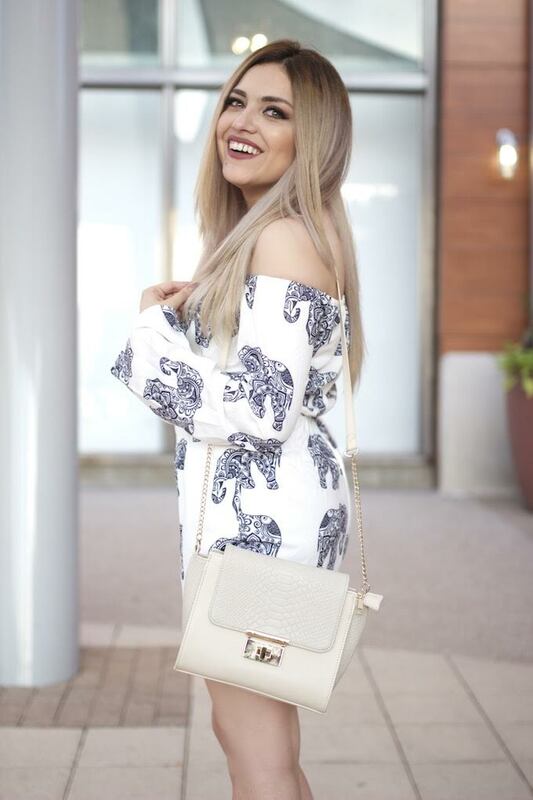 I wore this to hang out with my friends Lupe and Rosy and since it was getting dark out the photos came out a little dull or maybe I just need to tan lol. I noticed that the romper is no longer on Missguideds site but I did tag the exact print options down below and with the exact heels I'm wearing too.